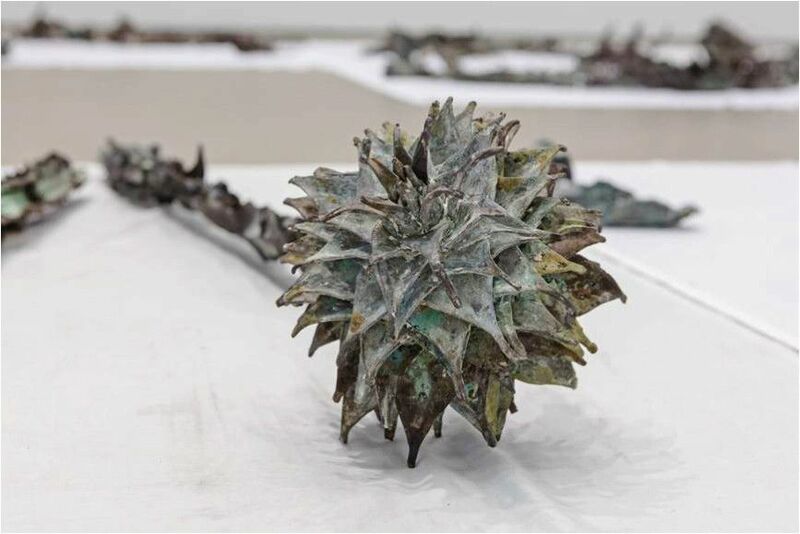 variations on a garden is a solo exhibition by Iranian-Canadian artist Abbas Akhavan in DRAF Studio. It comprises the sculptural installation Study for a Monument (2013-present), the video installation Ghost (2013) and the photograph and after and after (2003/8). Akhavan’s practice ranges from site-specific ephemeral installations to drawing, video, sculpture and performance. The direction of his research has been deeply influenced by the specificity of the sites where he works: the architectures that house them, the economies that surround them, and the people that frequent them. The domestic sphere, as a forked space between hospitality and hostility, has been an ongoing area of research in his practice. Recent works have shifted focus, wandering onto spaces and species just outside the home – the garden, the backyard, and other domesticated landscapes.